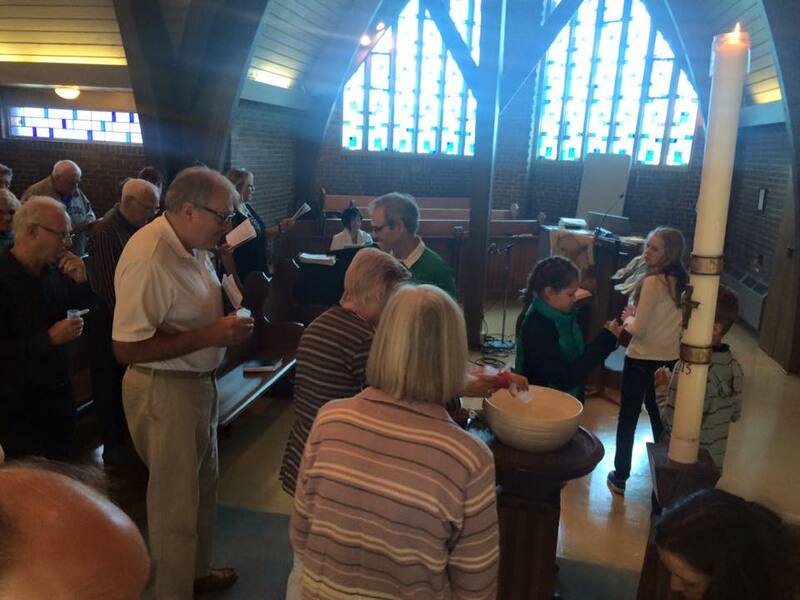 Yesterday we collected ourselves together for worship by bringing water from all over the world – literally. Stories were told of waters from Porto, to New Zealand, from Port Elgin, ON to the Glaciers of Norway [Ask Richard Gillam about his near death experience collecting water for our font]. It was a great time of worship, of celebration of the water and of making a start! We enjoyed a BBQ, we enjoyed one another’s company, we prayed, we sang, we celebrated, we remembered St Aidan, we journey together, we broke bread, we churched! Many thanks to Greg Smith and our Worship Planning Team for your work and vision. Here is the sermon – with remarks from John Davidson included.